More than 35 years ago, three dedicated and passionate equestrian devotees joined forces to embark on a goal to deliver high quality and innovate equestrian products. They envisioned a clear opportunity to provide durable, comfortable, lightweight and innovative horse blankets rather than accepting only the traditional designs available at the time. This redefined the blanket market and transformed the industry and the way horses are protected for years to come. 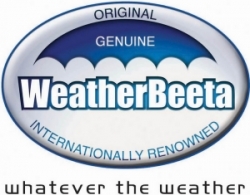 From here WeatherBeeta was born, as was the first synthetic designed horse blanket. This was a pioneering development that many brands have tried to imitate.